We made lamb chops for the first time. 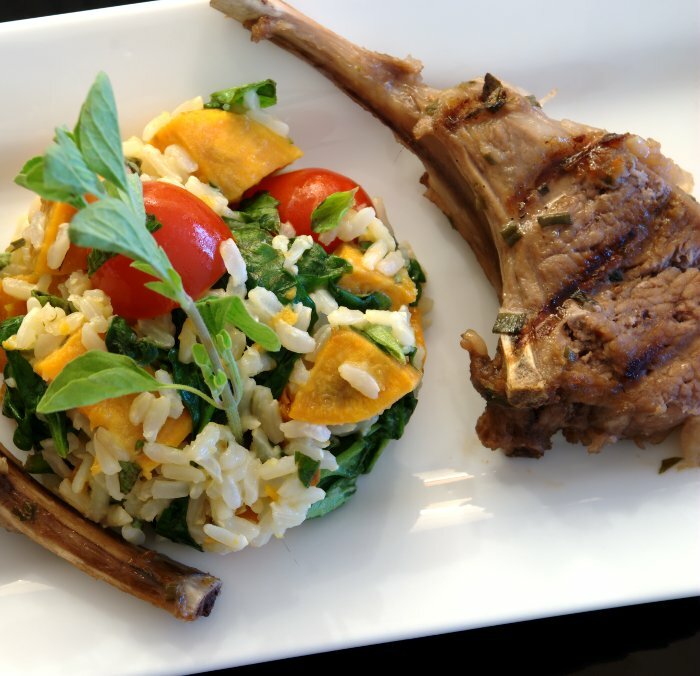 The lamb was marinated in fresh oregano, lemon juice, lemon zest and white wine. Once you use fresh oregano, you can never go back to the dried up stuff. The lamb had a stronger taste than beef or pork and went perfectly with the marinade. The oregano and lemon taste really came out. It was served with a rice, sweet potato, oregano and lemon salad.